I first got to know Bob when a few of us from school went caving together in the mid sixties. Bob was always far more serious about caving than I was and far more adventurous too. Bob helped to get the Plymouth Caving Group started and we spent some time helping out at Kitley Caves at Yealmpton near Plymouth. His propensity for exploring every small nook and cranny in and around Plymouth, and later much further afield, is demonstrated in that one of the caves in Kitley Quarry, Robert's Cave, was named after Bob who first entered its narrow confines. This was something that made him immensely proud and he went back to have a look at it just a couple of years ago. Bob went on to Manchester University and then to his first job at a nuclear power station in Gloucester. He frequently returned to Devon, from both Manchester and Gloucester, on his motorbike for weekend caving trips. On one occasion he badly injured himself in a motorcycle accident but was soon hobbling underground once again. Bob was well known and hugely thought of in Devon caving. There was little he didn't know and he was always ready and willing to pass his knowledge on and provide whatever help he could. Many young people were introduced to caving by Bob in his years of teaching at Plymstock, Honicknowle and Ivybridge Schools. This provided a stock of members for the Plymouth Caving Group many of whom are still caving or on the periphery of caving today. Bob eventually became President of the Club in recognition of all that he did for it. He was also involved further afield joining the William Pengelly Cave Studies Trust when it was still in its infancy and doing much to develop the Buckfastleigh Centre into what it is today, eventually becoming Secretary and starting the negotiations with the Wildlife Trust which finally resulted in our current lease. The Trust was another of his passions and he called in at the Buckfastleigh Centre on his last visit to Devon. Bob worked tirelessly to further caving in Devon and, with others, helped to set up the Devon Cave Rescue Organisation and the Devon and Cornwall Underground Council which meant that we didn't have to look to the Mendips to represent us at the National Caving Association. Indeed, Bob eventually became Pengelly representative on this body and I can remember occasionally accompanying him to the meetings at Stafford stopping off with his brother, Ted, on the way. I also remember a meeting we both attended at Honiton where, with the great and the good, we were presented with two shiny new blue Mountain Rescue Post signs for DCRO, one for Buckfastleigh and one for Plymouth. 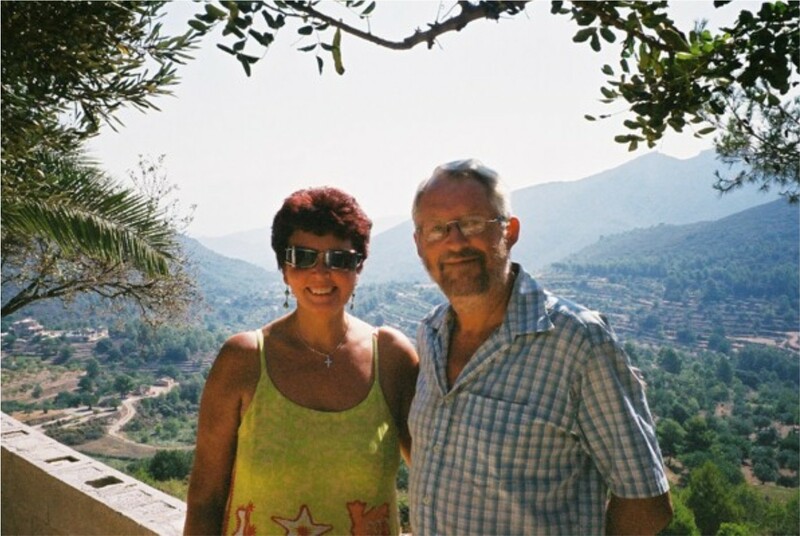 Taking early retirement Bob, Julie and Lloyd moved to Spain living just outside Jalón in Alicante. He loved Spain annually visiting Matienzo in Cantabria where he and Julie bought a property to enable them to spend more time there. He was actively involved in Matienzo being there just this last summer but, at the same time, he never forgot Devon taking an active interest in the happenings at the Plymouth Caving Group and the Pengelly Trust where he remained a Council Member. Bob was always ready to listen and advise. In Bob I, and a lot of others, have lost a terrific friend who, over the years, has been inspirational and a great support but our thoughts must go to Julie and Lloyd who have lost a kind, thoughtful, practical and supportive husband and father. Reproduced with the kind permission of the William Pengelly Cave Studies Trust. This obituary appears in the WPCST Newsletter, Number 106, February 2011.